Workers Compensation Attorney Kevin Cortright provides aggressive advocacy for injured clients pursuing Workers Compensation claims. With over 15 years of experience, he understands the way Workers’ Compensation claims can be complicated and intimidating for hurt workers. At Cortright Law, we help clients obtain the best medical care while we handle every detail related to the work injury. Call Workers Compensation Lawyer Kevin Cortright to schedule a free consultation. Our clients do not pay upfront legal fees for work injury cases. After a work injury, it is important to focus on your recovery. We understand that you may not be at your best, and the last thing you want to spend your time doing is dealing with the state and their endless hoop jumping. You may also be dealing with an angry employer or an employer who is trying to prevent you from reporting the incident that caused your injury. It can be confusing and hard to know what the right thing to do is at any point in the process. In order to be eligible for Workers Compensation Benefit, you must notify your employer or an authorized representative such as your supervisor, or Safety or Human Resources department, immediately after you are injured. If you are ill or injured due to a work-related incident, get medical help immediately. Don’t listen if your employer is begging you not to, or asks you not to mention that your reason for needing medical attention is work-related. Some employers will resort to threats of termination to prevent injured employees from reporting incidents; others will “reasonably” explain that they’re providing medical insurance, so there really is no need to report the incident because your medical bills are covered. California law states that it is illegal for an employer to fire a worker for reporting a work-related injury. While your employer’s health coverage may cover all or part of your medical expenses, it may not cover all of your losses. If you need medical attention, go and get it. You have a right to it, and your employer has no right to stop you from getting it. The phrase “work-related injuries” has a very specific meaning. It’s not just injuries that happen in your workplace. It also includes injuries and illnesses that happen on job-sites, during work-related motor vehicle accidents, after exposure from a workplace accident, or health problems caused by repeated movements at work. These injuries may occur at one time, or develop over a period of time. For example, if you’re exposed to a toxin at work, but you seem fine at first, then go home and have a heart attack because of it, that’s a work-related incident, even though you had the heart attack at home. OSHA has an extremely specific, exhaustive list of work-related injuries and illnesses, when they should be considered work-related, and when employers are required to report them to OSHA. 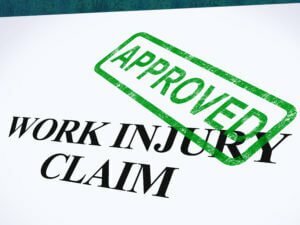 If you’ve been treated for a work-related injury or illness, you need to consult a reputable attorney who is experienced in handling Workers’ Compensation Benefit claims. Even if you think your injuries are minor and your employer is “playing fair,” you need to lay the foundation for protecting your rights, just in case something goes wrong with your health or with your claim, going forward. You never know when today’s sore back might turn into a chronic condition that will require additional medical treatment, physical therapy, or, in a more severe case, it might even require that you be trained to do a different job. Contact the Law Offices of Kevin Cortright for a free consultation. Call (951) 677-8064 or (760) 325-6900, or contact us online. We’ll let you know whether you need to take further legal action, and how to protect your rights in case the situation changes in the future.